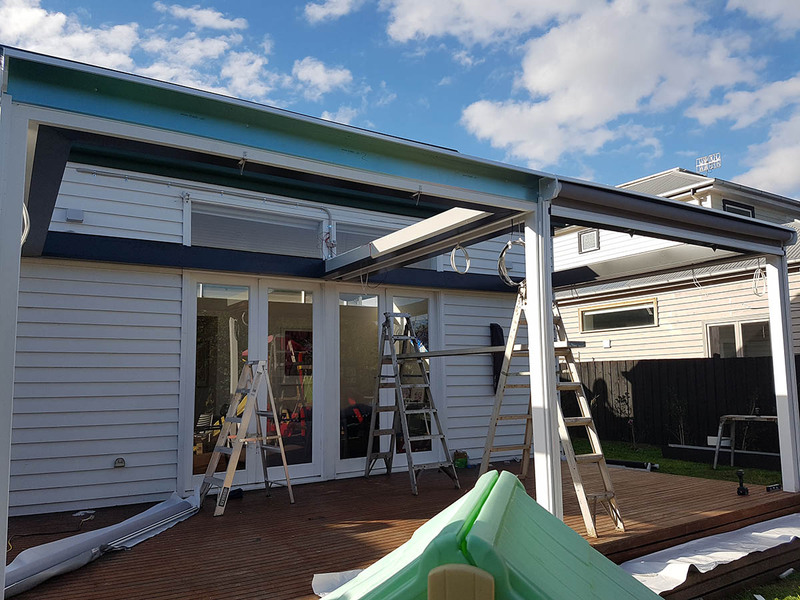 Being a Heritage overlay on the block we had to facilitate both a Planning and Building Permit for this particular project. 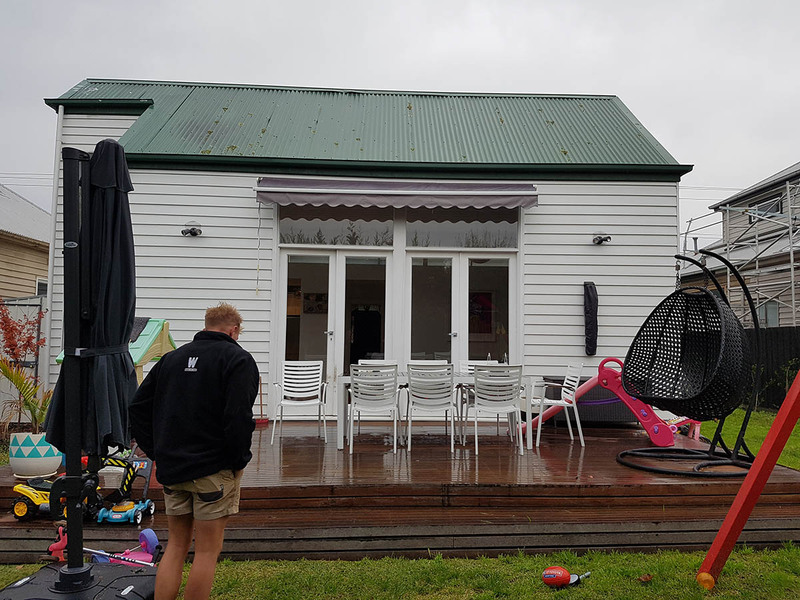 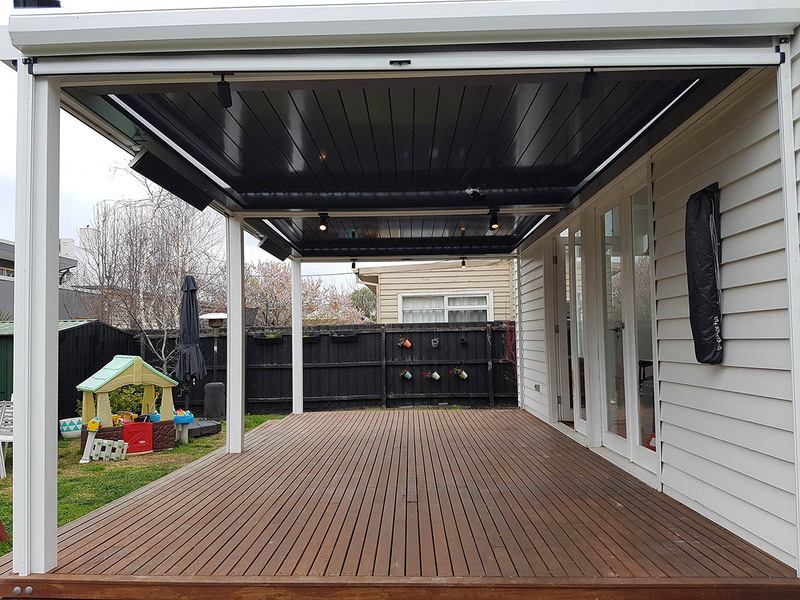 The system spans 7.5m and projects from the existing weatherboard 3.5m. 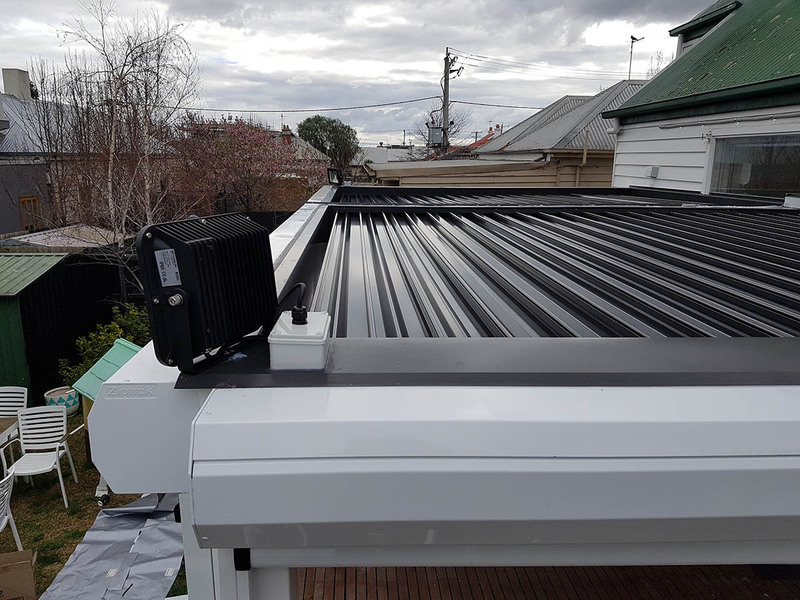 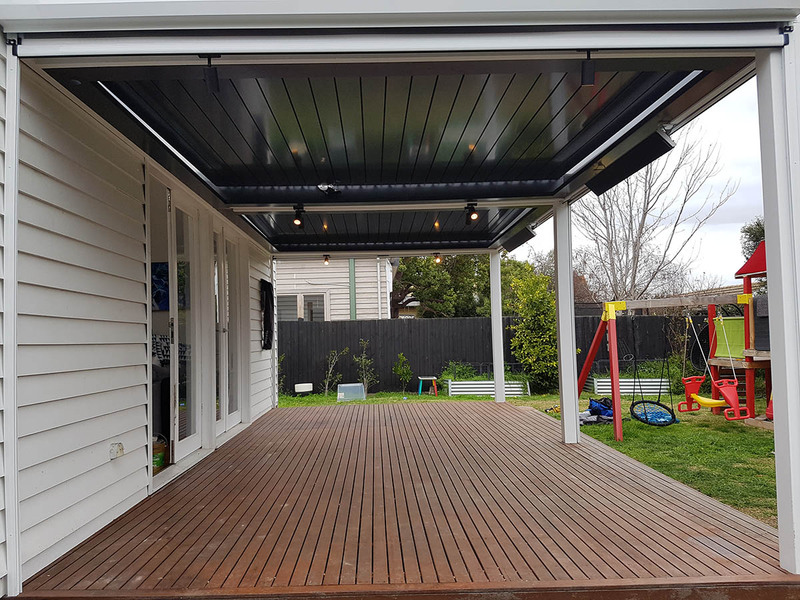 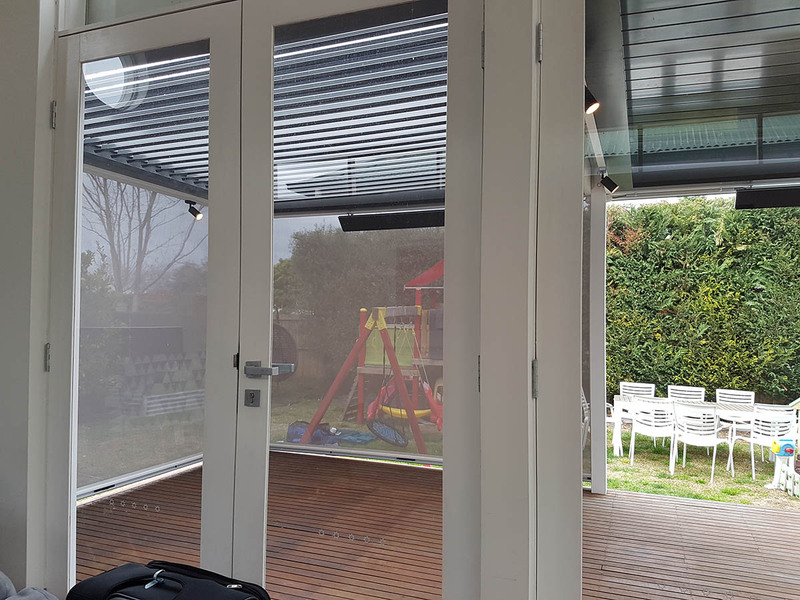 The operable louvres rotate open to almost 360 degress so letting light into the back room in the colder months is never a problem all at the touch of a button. 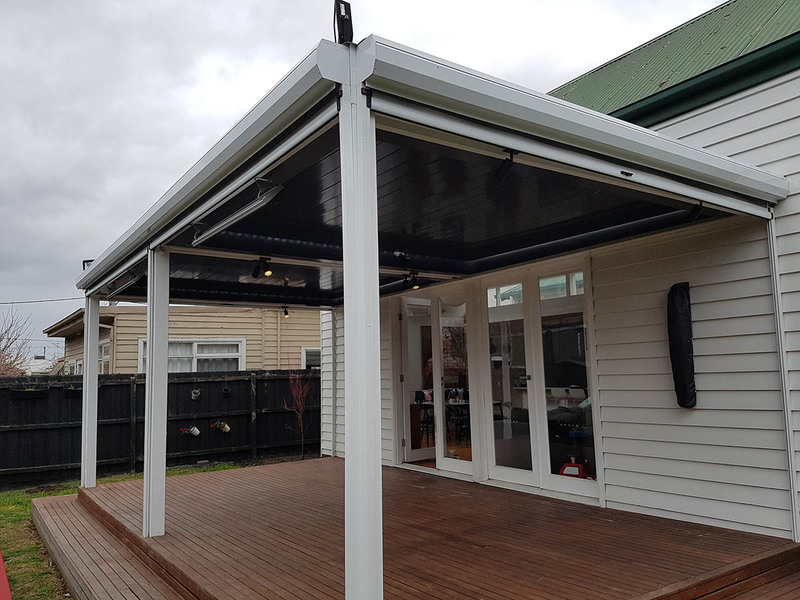 The timber pergola contains lighting features along with thermofilm heating to compliment the space making it the perfect shade structure all year round. 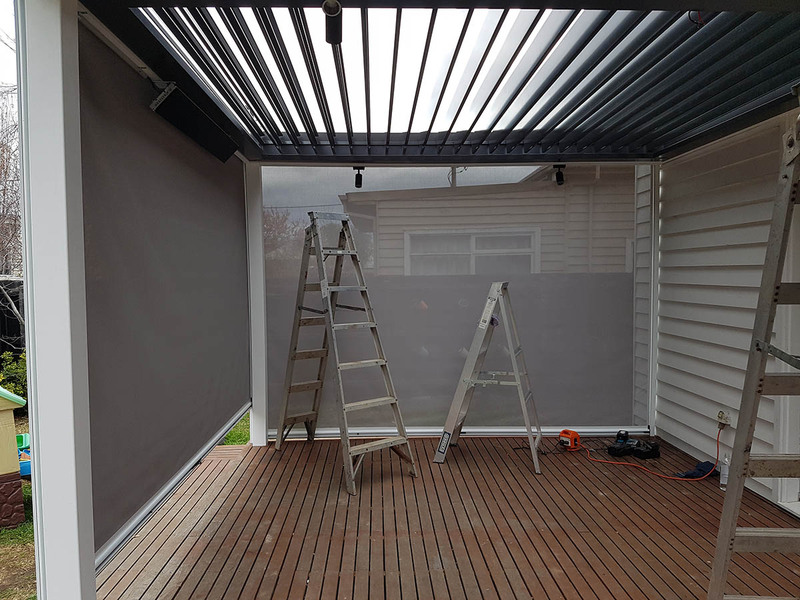 We’ve also included in the package Ziptrak mesh blinds to shut out cold winter winds enabling it to become another room of the home. 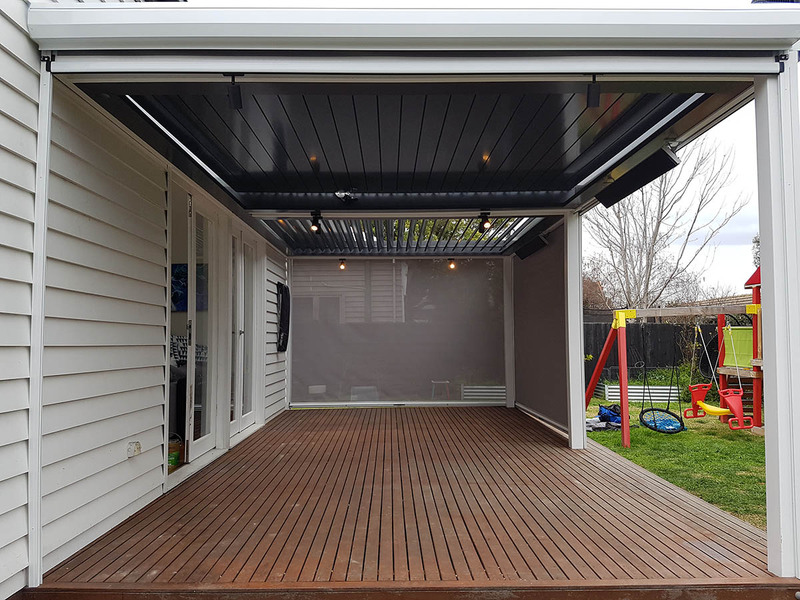 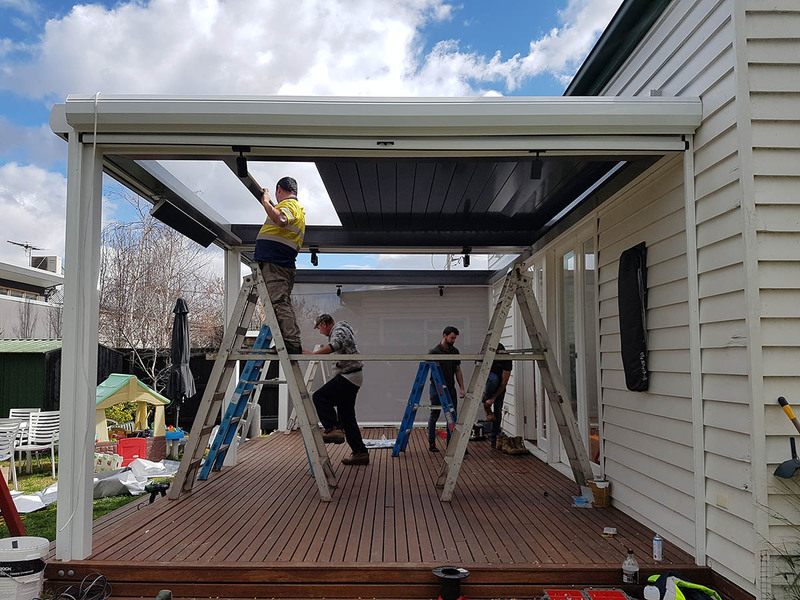 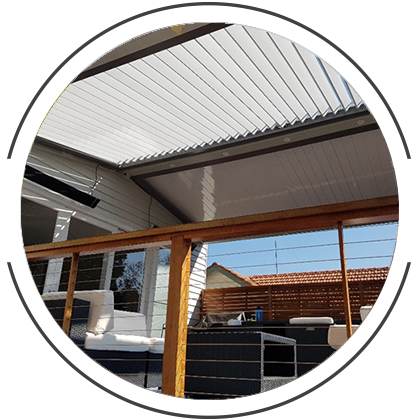 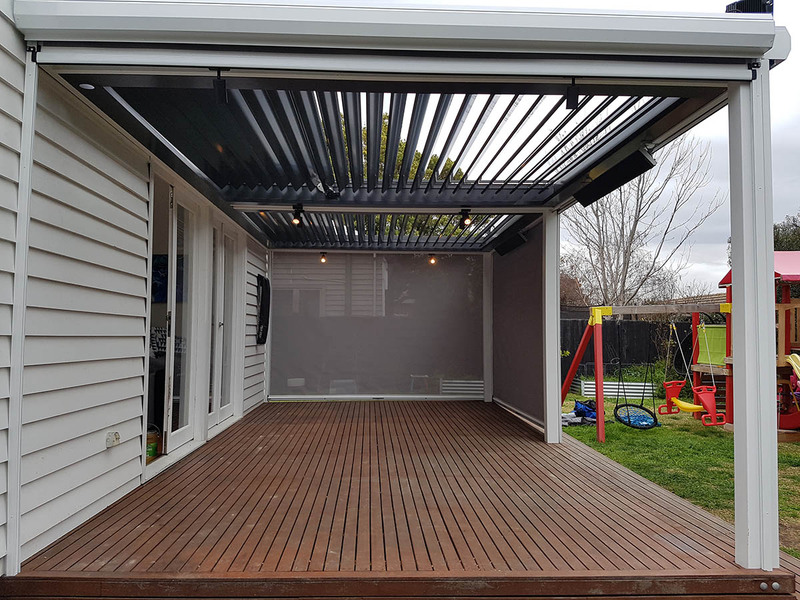 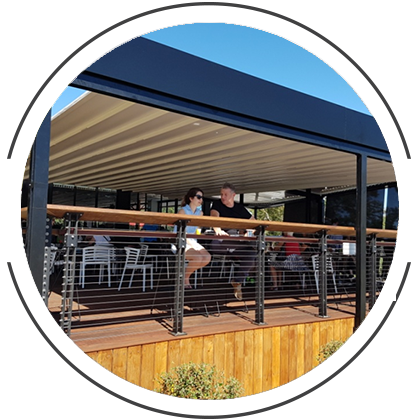 This louvre pergola package gives the owners all the flexibility they need to utilise this space all year round. 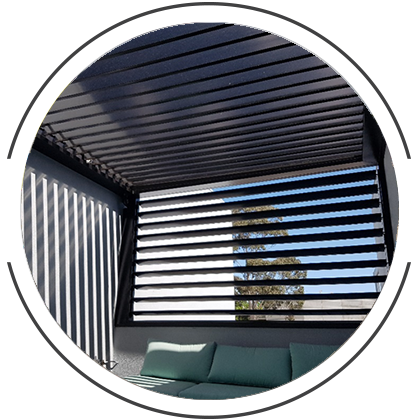 ​Operable Louvres or Opening Roofs have given both of these homes the stunning lifestyle versatility that Operable louvres give to an outdoor entertaining area. 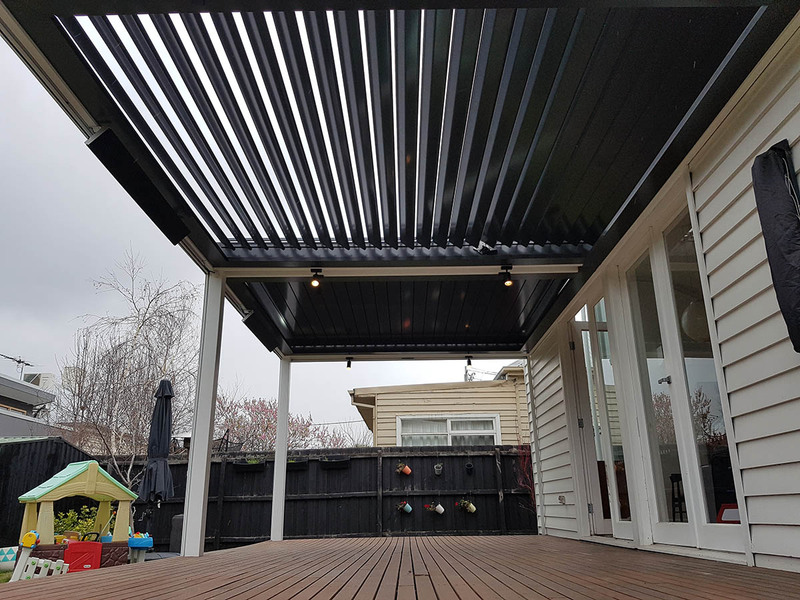 Opening Roofs such as Louvres were the perfect choice to compliment this benchmark home. 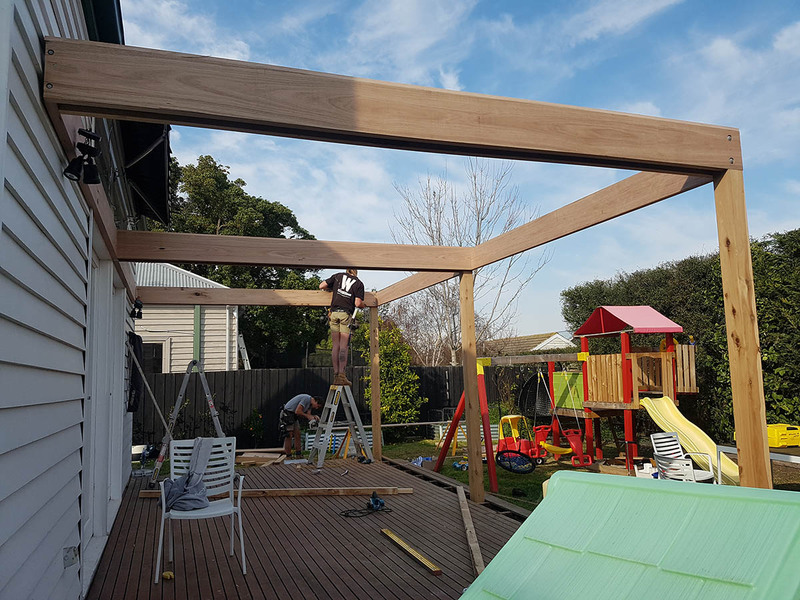 ​Our team got the job completed on time and on budget and we are wrapped that how client are pleasingly satisfied with the end product. 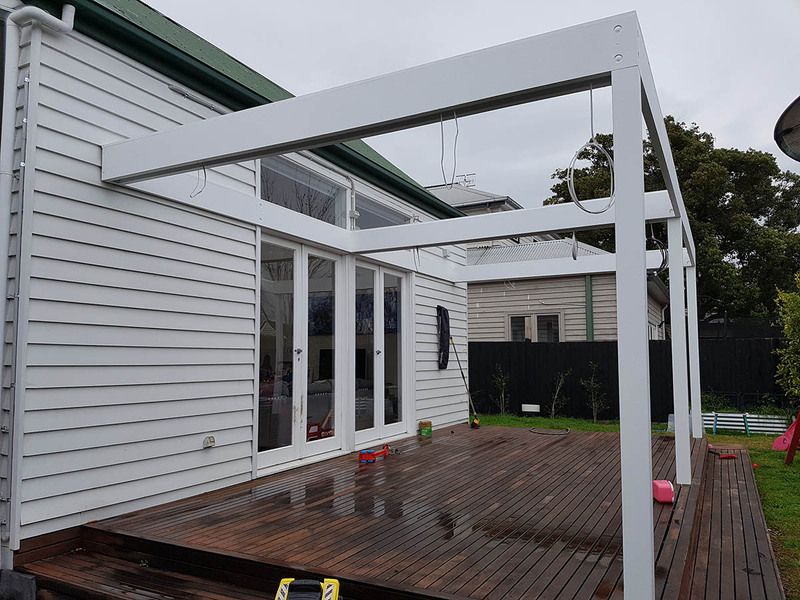 Client and builder are very pleased with the end result.